Theres no better gift to give new graduate than a great start in an organization dedicated to quality, ethical journalism. Honor those ready to pursue their passion for journalism by giving them the gift of SPJ. 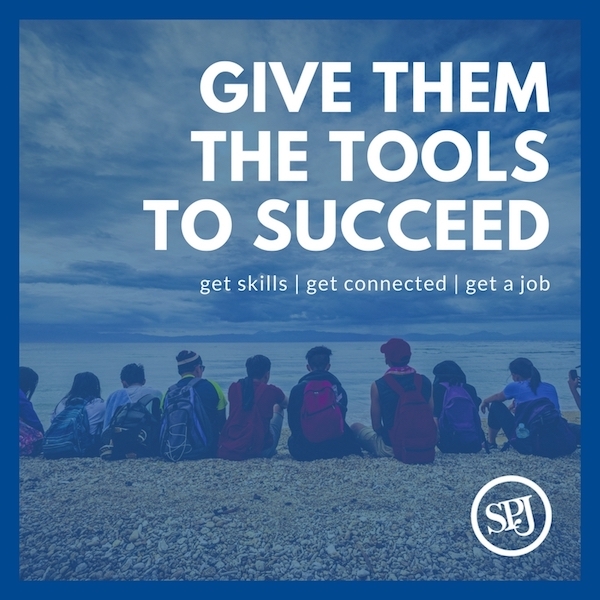 Theyll receive access to SPJs high-quality training and networking opportunities, online resources and so much more. Dont know a new journalism grad? Give the gift of membership to someone you dont even know. Through our work with countless journalism schools, well find the perfect new member in your honor. You can revel in the notion that you supported an incredible organization and gave the gift of all things journalism to someone else. Use the form below to order your gift today. Questions? Contact Caroline Escobar via email, or call 317-361-4132. Please review all information before pressing the continue button located at the bottom of the page. I would like to give a membership to someone I know. I would like to give a membership to someone deserving. Professional: Your recipient spends more than half their time working as a journalist or j-educator. Retired: Your recipient is retired and 62 or older. Household: Your recipient shares living quarters with a current SPJ professional member. SPJ Supporter: Support efforts to protect the First Amendment, freedom of press, media credibility and the publics access to information.